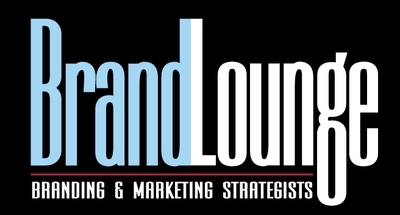 Brand Lounge is looking for a Digital Marketing Manager. If you meet the requirements below, you will be eligible to apply via Digital Marketing Community. Manage a portfolio of client campaigns and projects, taking responsibility for growing revenue as well as the day to day management of these accounts. Build and implement technical and non-technical strategies and initiatives that will drive traffic, conversion, retention, revenue and profitability. Plan and implement all digital marketing, including SEO/SEM, marketing database, email, social media and display advertising campaigns. Ensure all digital content is on-brand, consistent in terms of style, quality, and tone of voice, and optimized for search and user experience for online channels of content including desktop and mobile, with suggestions for social media, email, conversion and video. Execute and optimize partner marketing campaigns and initiatives across a wide range of media, whilst utilizing best practice marketing techniques. Set monthly content calendar and a yearly plan for client’s social media campaigns along with handling the community management of their social media channels. Evaluate, measure and report performance of all digital marketing campaigns, and assess against goals (ROI and KPIs). Manage resources, budgets and timelines for accounts accurately and efficiently. Advanced client leadership experience, preferably with several years at a managerial position with the fields of digital agency, e-commerce or startup. Proficient working experience in executing campaigns using (Google AdWords). Deep understanding of using (Google Analytics, Search Console and Keyword Planner). Brand Lounge is an award-winning regional branding consultancy and the designated partner of ‘Trout & Partners’ in the Middle East and Africa. Brand Lounge helps companies to develop differentiated brand strategies, design Human-centric visual identities and deploy inside-out traditional and digital branding experiences.